Dr. Misha Ratcliff received a B.S. degree from the Auburn University in 1998 and received a doctorate in veterinary medicine from Auburn University’s College of Veterinary Medicine in 2002. Dr. Ratcliff began her employment at Airport Veterinary Clinic in 2006. 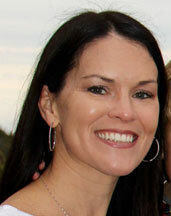 In 2012 she later purchased 50% of Airport Veterinary Clinic to become Dr. Kelly Haeusler’s financial business partner. Dr. Ratcliff is married and has two sons. She enjoys the playing at the beach, swimming, and photography.